Fritz Petit-Frere is a New York licensed physical therapist at Professional Physical Therapy. After graduating from New York Institute of Technology with a bachelor’s in Health Sciences Fritz went on to receive his doctorate in Physical Therapy at New York Institute of Technology. Fritz has been practicing for 1 year and specializes in Mulligan Concept of manual therapy. Fritz has certifications in CPR and is also a member of the APTA. 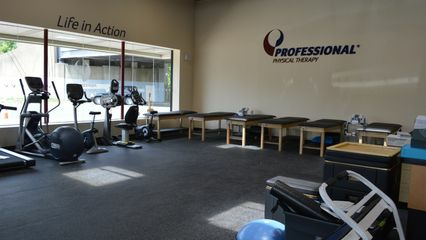 Mark Minei is a New York licensed physical therapist at Professional Physical Therapy. After graduating from New York Institute of Technology with a bachelor’s in Health Science, Mark went on to receive his doctorate in Physical Therapy at Touro College. Mark specializes in Orthopedics and Sports and enjoys working with a diverse population. Paige Daly is a New York licensed physical therapist at Professional Physical Therapy. Paige receives her Bachelor’s of Science and went on to receive a Doctorate of Physical Therapy. Paige has been practicing for 5 years and specializes in Orthopedic, post-surgical care, and sports physical therapy and working with a diverse patient population, ranging from young children to adults. Paige is also a member of the APTA.